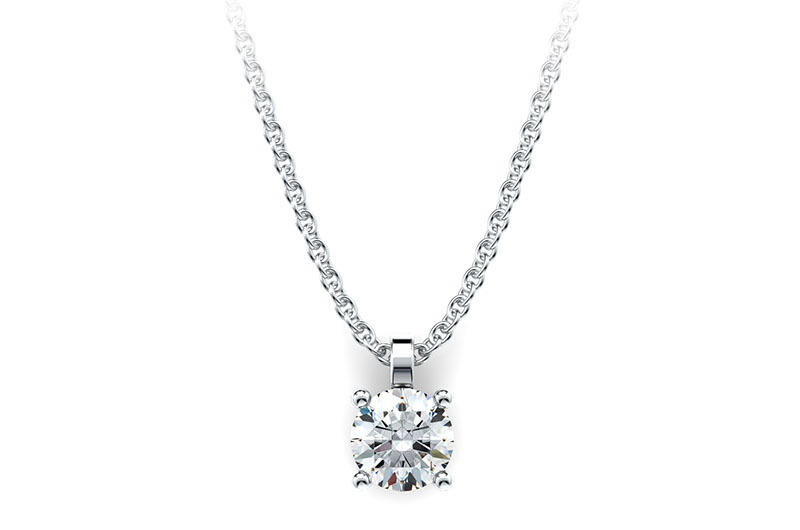 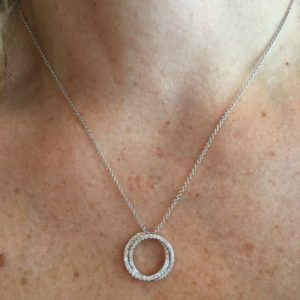 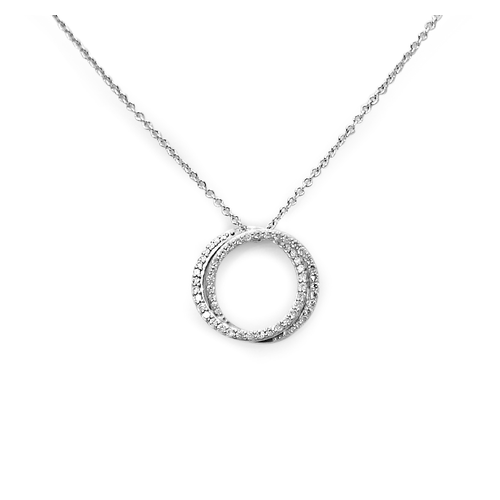 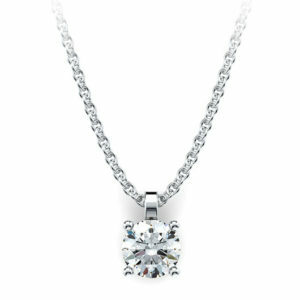 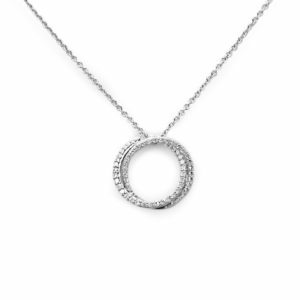 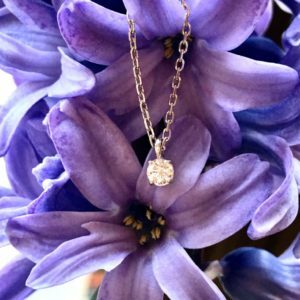 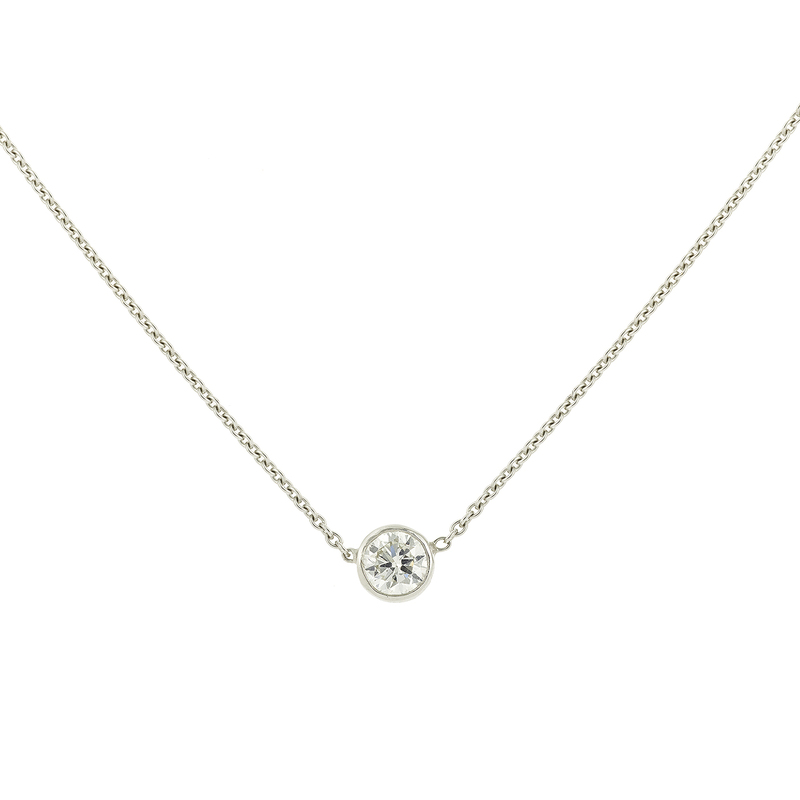 Necklace with a central round diamond on a white gold setting. 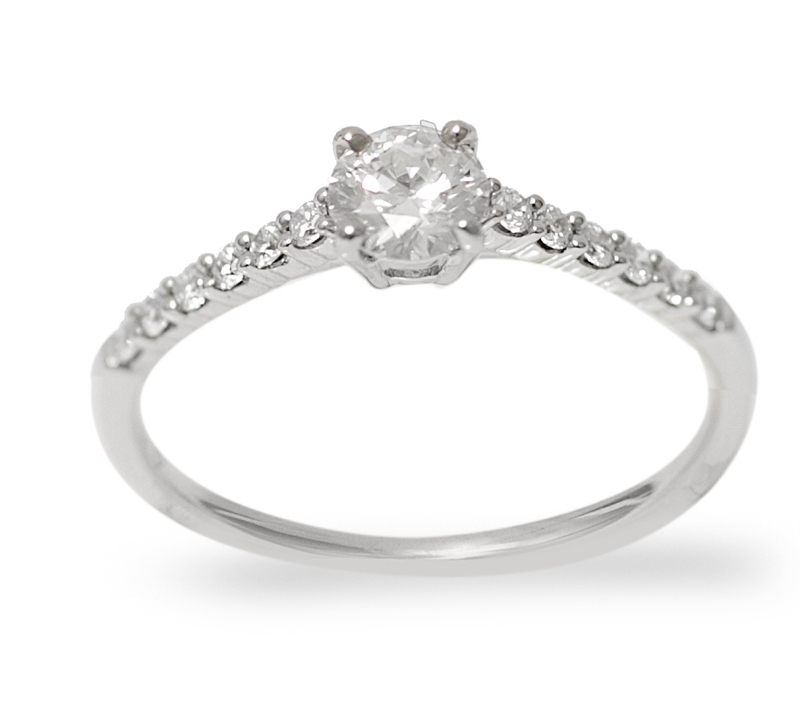 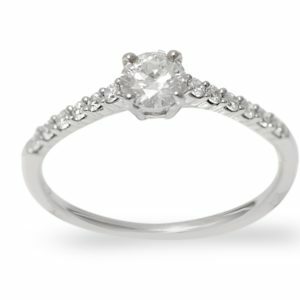 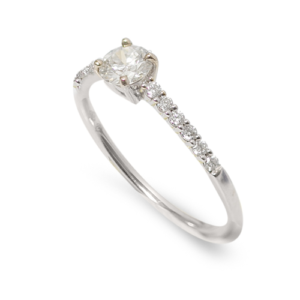 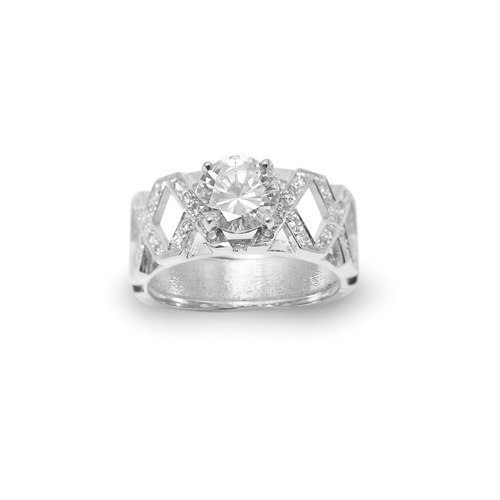 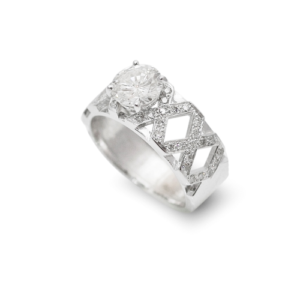 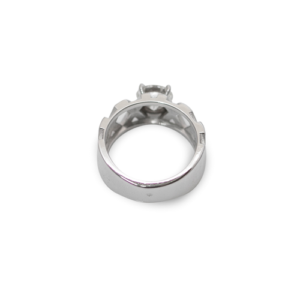 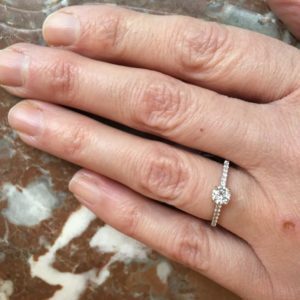 18K white gold 750 / 1000th. 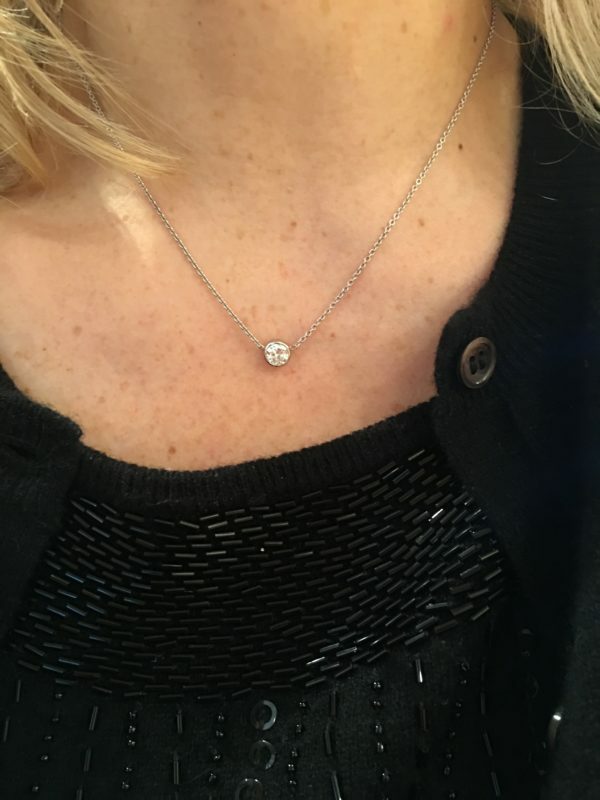 Weight of the central diamond 0,56 carats.